You have to love someone who drops out of school because it got in the way of his writing, only a few years later to study Journalism at Harvard (on a scholarship no less). 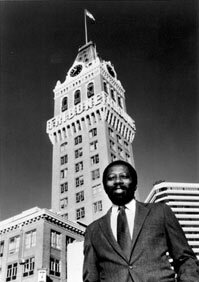 Robert Maynard moved through the journalism world to become Chief Editor of the Oakland Tribune. Two years later he became the owner, the first African-American to own a major metropolitan newspaper. 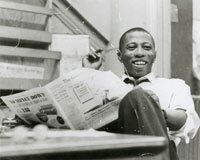 He turned what was a struggling paper around to receive recognition a few years later in the form of the Pulitzer Prize. He was recognized for giving a platform to community-led organizations and initiatives and was not afraid to focus on local issues and injustices. He also co-founded a foundation that encouraged and trained young African-American journalists and is credited with helping inspire over a thousand such men and women. In a period of time when many countries are testing the waters of democracy, we must all acknowledge that a free and accessible press is a cornerstone of a free and informed society. We all love Glen Beck or Jon Stewart (there might even be some who love both – true news junkies) and they both have their place in the information model, but it is what lies between these polarities that will define how free our society truly can be. I recently wrote about a Q&A at Borders in Pleasanton that focused around the blog strategy that I am following. According to the model, I need to reach 1,000 posts to create a sustaining platform that will stimulate regular cold book sales. 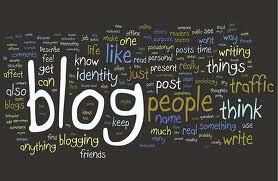 There are between 250-300 million blogs out there. Yesterday, I reached 250 posts – a quarter of the way to my goal – and I decided to peek at Left Coast Voice’s world rankings on Alexa. My blog now stands at 9,644,958, which means inside the top 10 million (bear with me). The goal is to reach the top 0.5% as these are the blogs that generate income. So, even allowing for only 250 million blogs in the world, I have comfortably entered the top 5%. 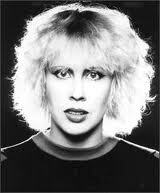 Since digging up my Hazel O’ Connor songs from ye olde dayes, I have been going over songs from the early 80’s that meant something to me. Kate Bush kept me awake at nights, not just because I was a naturally, testosterone-directed teenager, and she was, well kinda perfect. I was also driven by political music as well. When I read through the lyrics from Army Dreamers, I was struck at how relevant they are today, a sad indictment of how far we really haven’t come. 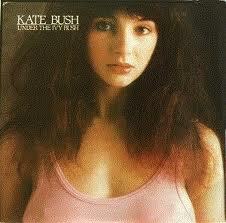 Where are the Kate Bush’s of today? Alon Shalev is the author of The Accidental Activist (now available on Kindle) and A Gardener’s Tale. He is the Executive Director of the San Francisco Hillel Foundation, a non-profit that provides spiritual and social justice opportunities to Jewish students in the Bay Area. More on Alon Shalev at http://www.alonshalev.com/. On Thursday, Amazon.com announced those entries that moved into the next round. From 10,000 entries, we are down to 1,000 YA and 1,000 General Fiction entries. Unwanted Heroes moved through to the 2nd round. Unwanted Heroes brings together an old, battle weary Chinese American war vet and an idealistic and pretentious young Englishmen, who share a love for San Francisco, coffee and wine. They soon discover they share even more when repressed memories bring them together in a gripping climax finding, in each other, an unlikely ally to free themselves from the tragic past that binds them both. 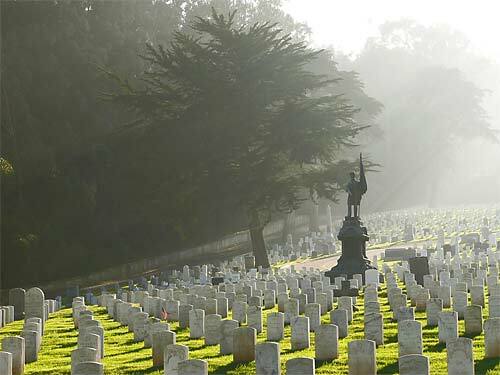 To read a passage I shared on Veteran’s Day, please click here. Otherwise, feel free to keep your fingers crossed, throw some salt over your shoulder (might reduce your blood pressure while you wait in suspense for the next round’s results), whatever is gonna help. I have written extensively about how we treat military veterans here in the US. My new novel, Unwanted Heroes, has been entered into the Amazon Breakthrough Novel Awards, and highlights this travesty in American society. This weekend, I read an article in the New York Times about Archis Acres, a small, organic farm near Valley Center, California, where they offer a Veterans Sustainable Agriculture Training (VSAT). 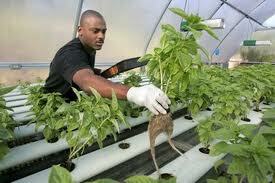 The idea is to use agriculture as a transitional period between army/marines and civilian life. In addition to learning how to work the land in a sustainable way, the men and women receive lectures about various niche business options for the modern small-holdings farmer. 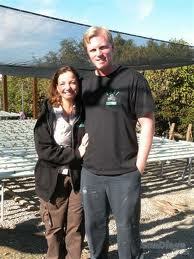 The program was developed by Colin Archipley, a decorated Marine Corps infantry sergeant turned organic farmer, along with his wife, Karen. Colin has served three tours in Iraq. Their goal is to revitalize the rural farming industry by providing tools for young people who understand discipline and hard work. There are two challenges being addressed here. One is the reabsorption of soldiers into civilian life, and the other is to provide a meaningful and economically viable option for the returning soldier. Even if these young men and women do not continue to work as farmers, the work itself can be extremely grounding. On my kibbutz, we used to bring groups of children, traumatized from bombings and other acts of terror, to the kibbutz and they would help us make bricks out of a clay-like material that would later be used for experiments in alternative building. It was clear how calming and grounding such work could be. Archi’s Acres is a great program. Helping turn swords into plowshares is a positive step forward. So there is a conflict across the aisles. No not the democrats and republicans, not the dictators and the people in the Middle East, but the yoga teachers. Is yoga still yoga as we know it in a 21st Century marketing package? Lizette Alvarez writes in the New York Times that there is a populist leader taking yoga to the streets and stirring up the yoga masses. Actually, I suspect she is stirring up more responses from the traditional, more conservative yoga authorities. No wonder those in the higher yoga echelons are feeling threatened! When is yoga not yoga? Where do you cross the line from an intentional way of life to a straight-forward workout? Is yoga being turned on its head? Stop. Take a deep breath. Clear your mind. Allow me to share my credentials. I have practiced yoga for more than a dozen… well I’ve participated in a yoga session maybe a dozen times. But my family owns more yoga mats and DVDs than we own cars. Both my sons, care of the Berkeley education system, have learned yoga. But seriously, I have practiced Tai Chi for nearly twenty years. I taught classes in Israel and believe deeply in Tai Chi – as an exercise and a way of life. One of the biggest challenges in any such program that purports to be more than just exercise, is finding the right teacher. I loved my first Tai Chi teacher. 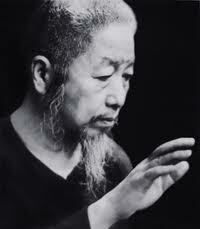 I was engrossed as we learned the Tai Chi form and I was engrossed when we sat and listened to him talk. 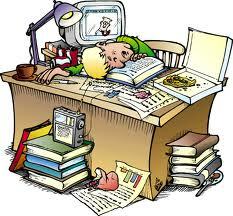 I was shattered when I discovered that he didn’t actually walk the walk in his everyday life. It is the same with dictators and democratic leaders. We put our trust in them, that they will fulfill what they claim to stand for, that they will stay loyal to the fundamentals of whatever ideology propelled them to that position. Yoga, Tai Chi, democracy, benevolent dictatorship – it is about the people who step up and how they conduct themselves. In Hebrew there is a word – kavvanah – intention. It is a concept far stronger than any form of spiritual or political framework. Perhaps America would be a better place if its elected leaders were required to practice yoga or Tai Chi. Perhaps less leaders would fall afoul of the law, Maybe taking deep breathes before standing in front of a microphone could save lives. 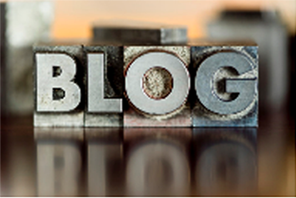 I recently spoke to a group of writers and outlined why I blog and the strategy behind it. 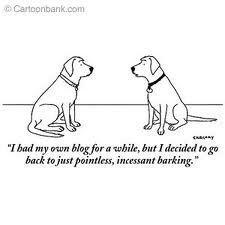 External and internal links were interesting, book sales generated from blog drew a question or two, but what people really seemed to want to talk about was how I found the time to blog every day. I was surprised. I thought people would ask more technical questions or where I look for ideas, but the whole issue of time management seemed to have struck a chord. And I am not sure why this surprised me. I have a full-time job that often demands time beyond the 9-5 Monday to Friday, young children who are still fleetingly young enough to enjoy their father’s company, creeping blood pressure that sends me regularly to the gym, and a wife who is incredibly understanding and supportive. I want to suggest a few best practices that help me, though I need to admit that I find juggling everything into 24 hours to still be incredibly challenging. 1. 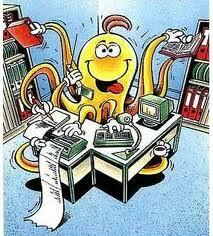 Know what you want to write before you sit down to blog. 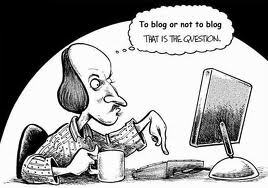 I allocate an hour a day to blogging which includes writing, research, finding links and pictures, adding tags and categories. I rarely fit this into the allocated hour, and never would if I didn’t have an idea of what I wanted to write. When to think about it? The shower, the commute, on the treadmill… When NOT to think about it? When helping your child with their maths homework, when your partner wants to talk, when the Golden State Warriors are blowing a 20-point lead (it’s your fault!). 2. If you are at your computer during (um) work and an idea comes to you, take a minute to open a new post and write in a few words. It will make it so much easier when you do sit down to blog – you will come off the starting line sprinting. 3. Keep it brief. People don’t want to spend too much time reading, and if they do, then you provide them with links. 4. 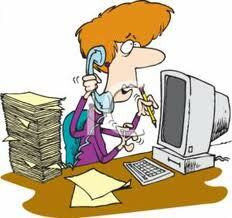 When you are blogging, you are not reading email, checking the soccer results, or multi-tasking. You are focused and running against a clock. 5. Find a quiet place to write, somewhere where no one can distract you. In my little house, my desk is by the kitchen table – the one we eat from, the one the children use for their homework, the one where any guest not watching TV is going to gravitate to. I rarely can creatively write at my desk. It explains my caffeine intake and why entrepreneurs think they can open a coffee-house on every street corner in Berkeley in the midst of a recession. Like I said, I am not exactly the perfect example. I am posting every day and have been since October, but I also haven’t been writing. My last two novels were both written in an intense period of time (86,000 words in 100 days, 91,000 words during the summer). I am desperately missing the creativity of writing the story. I have two books ready in my mind, one a sequel to Unwanted Heroes and the other is a sequel to the fantasy novel I wrote with my eldest son. I guess that sleep is just overrated. Still, I love my family, my job, my writing, and even the gym (at least once I’m there). I wouldn’t have it any other way. A few days ago, I shared my experiences from the late ’70’s and early 80’s growing up in London. It was a time of political tension and fear. A Nazi party was emerging and making headway in local elections. As often happens during such times of turmoil, a strong culture emerged that reflected the energy of the time. 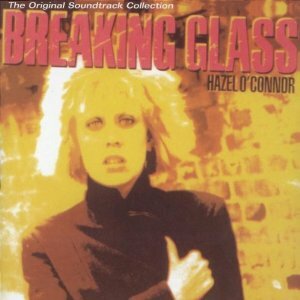 One of my strongest connections to this period of my life is the Breaking Glass movie and soundtrack, the latter sung by Hazel O’Connor (pictured above). It is an album that, though born out of a specific period of time, has remained sadly relevant to this day. Breaking Glass remains a timeless album nonetheless. Thirty years on, this ever-romantic even chose a track from the album to dedicate to his better half on Valentines Day. Professor C. Kent McGuire, the former dean of the Temple University College of Education, is the president of the Southern Education Foundation. He recently wrote a piece in the New York Times that caught my eye. Actually what caught my eye was the more sensationalist heading that I borrowed above. I believe Professor McGuire used a much more accurate title: “A Different Type of Student”, but I, like the NY Times, wanted to catch your eye. “We should be careful about reaching definitive conclusions on the quality of undergraduate education from a study that uses a single outcome measure, the Collegiate Learning Assessment. Our diverse higher education marketplace claims to produce a wide range of outcomes which in fairness, require multiple forms of assessment. That said, “Academically Adrift” is in fact, a story about the slow pace of curricular change, a story about the status of teaching in higher education and ultimately a story about today’s college student and there is a lot to this story. 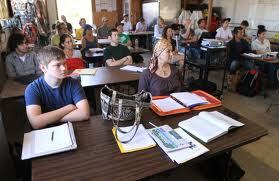 The question is, can we teach higher learning in such a form? And should, in fact, academic institutions adapt to the students or the other way around? Love to hear your view. A week ago, I became excited at the prospect of our children becoming engaged in reading because of the e-book revolution. I posted it here. Now I found something even more exciting. While I compete with my sons for my Kindle, how about ensuring that children who live far away from libraries, who can’t afford to buy tree-books (even if they live near a bookstore), who haven’t in the past had an option to grow up reading, have a sustainable way to do so? This is the vision of Worldreader, a non profit whose mission is “to put a library of books into the hands of children and families in the developing world with e-reader technology“. 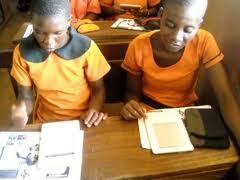 It is an exciting prospect that we can end global illiteracy through a sustainable technology. 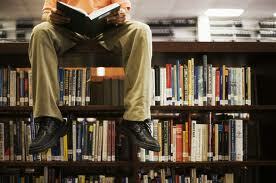 Books and the ideas in them engage minds and create opportunity, but only for the few. 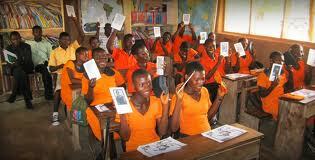 Families and schools in the developing world have access to vanishingly little written material. Worldreader aims to put a library of digital books in the hands of every family. For more on the organization and how to help, please check out this interview with CNN’s Ali Velshi.